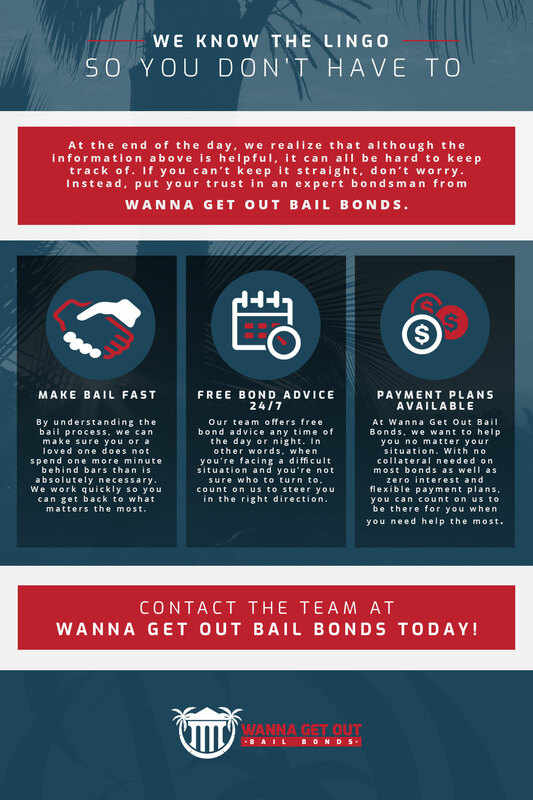 At Wanna Get Out Bail Bonds, one of the questions we get the most is, “Hey, how does bail work?” We know that people are often confused by the process and we’ll be completely honest here–that’s totally normal. Most people don’t have to worry about the ins and outs of bail with any kind of regularity, so for them, it’s not really relevant information that needs to be kept at the front of the mind. The good news is that our team of experts is always here to help. No matter the time of day or night, if you’re in need of a bail bond, we’ll be there for you, answering questions and providing advice at every step of the way. 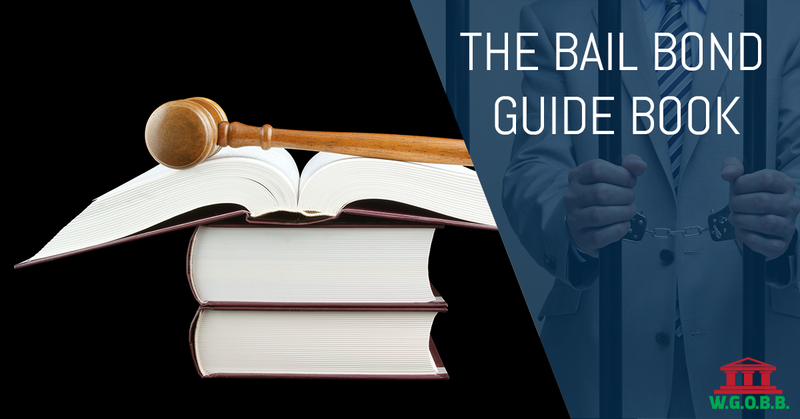 That’s why in today’s blog, we thought it might be helpful to provide our clients with a bail bond guide book that’s full of our industry’s commonly used terms and phrases. If you’d like to learn more about bail bonds, keep reading! Well, to put it simply, bail bonds are used to help people get out of jail. The more precise answer is that bail money is needed in exchange for a person’s release from jail and monetary insurance is needed to help ensure that the accused party will show up to court. You can purchase bail bonds from a bond agency if you don’t have the money to pay for bail yourself, offering you a bit of flexibility. Your bail bondsman is the person you’ll be working with when you call Wanna Get Out Bail Bonds. He or she will answer any questions for you and provide you with the assistance you need throughout the entire process. Skipping bail is any time you violate the terms of your release. We’ll provide you with all of the information you need up front to ensure that you know exactly what not to do. A bail skip is essentially when you are expected to show up to court on a given date and you decide to not show up. Collateral is sometimes needed for large bonds and it is something the purchaser of the bail bond will put up in the event that he or she cannot make their payments. When you purchase a bail bond, it’s because you don’t have the full amount of money to make bail. Essentially if the person out on bail doesn’t show up to court and the person who purchased the bail bond cannot pay, the court determines that bail is forfeited. At Wanna Get Out Bail Bonds, we require zero collateral on most bail bonds, ensuring that you don’t have to put up any of your material possessions. We hope that this quick guide has helped to clear up any confusion regarding the bail process, but you can also feel free to take a look at our list of frequently asked bail questions or, of course, you can give us a call any time of the day or night. We’ll be here to help you out regardless of your situation!